Pendleton Messenger, 14 July 1837, Independence Day celebration at Goodwill, "a new store... between 23 and 26 mile creeks." William Owen, "May South Carolina prove herself the key-stone of the federal union by a strict adherence to the principles of democracy." Pendleton Messenger, 20 July 1838, Independence Day celebration at Goodwill. William Owen, "Our State Legislature: In the plenitude of their liberality, may the poor be remembered. "Pendleton Messenger, 20 July 1838, "Notice.--The Universalist Society at Harmony Meeting House, Anderson District, designs to commemorate the death of Christ by the communion of the supper, on the 5th Sunday of the 29th inst. Brethren from a distance are invited to attend. An invitation is also extended to Christians of all other sects to unite with us, and join in celebrating the divine love of our divine master. There is some expectation that the Rev. Mr. Andrews from Georgia, will preach on that occasion. By the order of the Society, Wm. Owen, Clerk. July 3d, 1838." In Newbury District, SC on the 6th ult, by the Rev. Elijah Lynch, Rev. Allen Fuller, formerly of Middleborough, Mass to Mrs. Tabitha Worthington, all of Newbury. Yes, Virginia - no U or UU content.....Merry Chirstmas! We take pleasure in answering thus prominently the communication below, expressing at the same time our great gratification that its faithful author is numbered among the friends of The Sun: I am 8 years old. Some of my little friends say there is no Santa Claus. Papa says, "If you see it in The Sun, it's so." Please tell me the truth, is there a Santa Claus? Virginia O'Hanlon Virginia, your little friends are wrong. They have been affected by the skepticism of a sceptical age. They do not believe except what they see. They think that nothing can be which is not comprehensible by their little minds. All minds, Virginia, whether they be men's or children's, are little. In this great universe of ours, man is a mere insect, an ant, in his intellect as compared with the boundless world about him, as measured by the intelligence capable of grasping the whole of truth and knowledge. Yes, Virginia, there is a Santa Claus. He exists as certainly as love and generosity and devotion exist, and you know that they abound and give to your life its highest beauty and joy. Alas! how dreary would be the world if there were no Santa Claus! It would be as dreary as if there were no Virginias. There would be no childlike faith then, no poetry, no romance to make tolerable this existence. We should have no enjoyment, except in sense and sight. The external light with which childhood fills the world would be extinguished. Not believe in Santa Claus! You might as well not believe in fairies. You might get your papa to hire men to watch in all the chimneys on Christmas eve to catch Santa Claus, but even if you did not see Santa Claus coming down, what would that prove? Nobody sees Santa Claus, but that is no sign that there is no Santa Claus. The most real things in the world are those that neither children nor men can see. Did you ever see fairies dancing on the lawn? Of course not, but that's no proof that they are not there. Nobody can conceive or imagine all the wonders there are unseen and unseeable in the world. You tear apart the baby's rattle and see what makes the noise inside, but there is a veil covering the unseen world which not the strongest man, nor even the united strength of all the strongest men that ever lived could tear apart. Only faith, poetry, love, romance, can push aside that curtain and view and picture the supernal beauty and glory beyond. Is it all real? Ah, Virginia, in all this world there is nothing else real and abiding. No Santa Claus?Thank God he lives and lives forever. A thousand years from now, Virginia, nay 10 times 10,000 years from now, he will continue to make glad the heart of childhood. Merry Christmas and a Happy New Year!!!! 1846 lists 3 preachers in SC, with John (J. A. ) Chapman retturning his letter of fellowhipA. Fuller (Salubrity), J. Mullikin, (Slabtown), D.B.Clayton (Dunlapville)Fuller is the standing clerk of the State Convention; 4 societies, 8 meeting houses (also listed as 9!) - . Abbeville, Charleston, Fairfield, Lexington, Newberry (2), Anderson, Laurens (2-union) . Portlow's in Abbeville is the new meeting house. 1850 SC "Convention meets according to previous adjournment - usually in August. Rev. A. Fuller, Salubrity, standing clerk. S. M. Simons, Steedmans, formerly partialist minister. summary: 1 convention, 4 societies, 9 meeting-houses, and 3 preachers. 2005 summary. in 4 years, number of preachers the same: D. B. Clayton is preaching in Red Banks, Mississippi. Fuller is close to moving west. there is an old story about Jesus talking to some folks, and a couple guys come up to him, point out a woman, and say "Jesus, that woman broke the law and needs to be put to death. Here's a couple of stones here, since you're righteous, you get first dibs". Jesus, turned to them and said"let he who is without sin, cast the first stone." At this point, a couple of Unitarian-Universalists said "that would be us", and picked up all the stones. Nasty joke, right? How better to get some attention? Im always surprised when UUs (and yes, other folks too, but I get mostly UUs reading this, so why mention anybody else?) believe that since we have never done wrong, therefore we are shocked shocked shocked to discover others in the past have done wrong. In this case, I am going to talk briefly about slavery. First of all, it's perfectly clear to me and you and most intellegent people, that slavery is wrong. However we didnt grow up in a society where most people thought slavery was fine - indeed many if not most people didnt even give slavery much thought untill the 1700s, which is when the anti-slavery thoughts begain to be discussed (especially in the United Kingdom.) There was political and religious thought starting at that time - that begain to make it clearier that slavery was wrong, and this was gathering speed up to around 1800. A couple of things happened then, one: the cotton gin made cotton easier to produce, making large farms (plantations) possible away from the low country lands. One could possibly get wealthy planting cotton... however the only way to do that was acess to labor. That same time (1800), slave laws begain to get more restrictive -- Virginia passes a law that basicaly makes it illegeal to free slaves. A couple of religious bodies in the south, begain to realize that they could no longer live in slave states - and communties pack up and leave South Carolina in 1804-1806 settling in Ohio. Among these are Quakers and German Baptists. Good for them. Those remaining behind become Universalists. ((actually some of the Qs and GBs in Ohio became Universalists too)). If the old belief that Universalists were poor dirt farmers was true, then we dont have to worry about slaves, because slavery was too expensive for the poor. However the South Carolina Universalists were rather typical middle and upper middle class folks struggling to be upper class - like their neighbors. 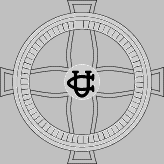 Southern Unitarians were typical Upper Middle and Upper Class southerns. So, translated and simplified: southern Universalists and southern Unitarians had plenty in common with their southern neighbors - the saints all moved to Ohio . In the pre-war era, some had and most lived easily with the idea of slavery. Some southern Universalists in the 1890s-1960s opposed intergration - same as their neighbors did (the same as many northerns did). To hide this and pretend it didnt exist, is to ignore history. To make all these people to be full monsters, is to throw that first stone. They are not a perfect people - and in our struggle to be better and to learn, we can still learn from those who arent perfect. I grew up in the days of segregation, I saw "seperate but equal" restrooms, schools, water fountains. waiting rooms. As an adult now, I still hear stories of when you were allowed to go to town, and when you couldnt go, what stores you could never go in, where you could have a buisness and where you could not. As an adult now, I still hear the N word, I still hear and see racism ..... However, I hear less - I see different things that would have been unimaginable 15 years ago, much less 40 --- there remains hope. -- who would have thought back in 1968, that I would have a job where Martin Luther King ("that tool of Moscow" as i heard him called) birthday would result in a paid holiday! this is what people lived in, its not surprising they werent perfect. and even though one Universalist minister owned a slave (it was his wife's slave, really! ), and too many had wrong views on race, we can still learn from them and their imperfect brethren. she can be reached at kimwilsonSPAMCHANGER@mail.utexas.education (remove SPAMCHANGER and cation from the edu) . Kim, what project are you working on?? Declaration read by Joshua Owen Jr.; oration by Rev. Allen Fuller. Allen Fuller, "South Carolina: May the Patriotism of her citizens nullify the asperity of party feelings, and unite all hearts in the cause of liberty." "Died at his residence in this district [23 Sep. 1838] ...Mr. John Brewer... a member of the first Universalist Society in Anderson District from its organization to the time of his death... funeral address by Rev. Allen Fuller." Old "Salubrity Spring" On April 6, 1839, Allen Fuller was appointed postmaster of Salubrity Post Office. The post office was located on his farm termed Salubrity, a name which suggests that Allen perhaps considered his location healthful. "Universalist Meeting.--Mr. Fuller has been appointed to preach at the Meeting House near Bachelor's Retreat, on the 3d Sunday in the present month. "A public Discussion is appointed to be held at Anderson C. H. on the 15th inst., between Rev. Sanford Vandiver, Baptist, and Rev. Allen Fuller, Universalist. Mr. Vandiver has engaged to support the affirmative of the two following propositions, and Mr. Fuller the negative of the same, viz: 1. That the Scriptures teach, that the punishment due to sin is endless in its duration. 2. That such punishment is consistent with the justice of God.Gen. Thomas Wright and Gen. J. N. Whitner, two of the Moderators appointed to preside at the Discussion, have signified their acceptance. Should the weather be favourable, doubtless, a considerable number of people will attend." Pendleton Messenger, 15 Oct. 1841, report of 11 Oct. 1841 Pickens Dist. Temperance Society meeting, Pres. J. L. Kennedy, Acting Sec'y Miles M. Norton. Prayer by Rev. Jos. Grisham, addresses by Grisham and Rev. Allen Fuller. Resolution by Fuller to appoint committee of three "to draft a memorial to the legislature for the repeal of the suttler's Law"; "very excellent remarks from Gen. Whitner"; resolution unanimously adopted. Meeting again tomorrow night "after the business of the Bible Society be dispensed with." Two new members joined. South Carolina Temperance Advocate, 28 Oct. 1841. Report from Pickens Dist. Society at courthouse formed ca. 1838, 120 members. Grain-raising district, many distillers. Temperance mtg. at Court House this past Monday, speakers Rev. Jos. Grisham, Rev. Allen Fuller, Gen. J. N. Whitner. Tues night mtg. following Bible Society mtg., chairman Gen. Whitner. Central Committee to form auxiliary societies in each Battalion of dist. : Rev. Joseph Grisham, Rev. J. L. Kennedy, Col. M. M. Norton, Silas Kirksey Esq., Rev. A. Fuller, and John Adair Esq. Speaker: attorney Peter S. Vandiver of Anderson. Committee to receive subscriptions to _Temperance Advocate_: Capt. James W. Harrison, Col. M. M. Norton, and Capt. Levi N. Robins. "It is a matter of much gratification to be able to state, that we have not a retail shop in the village, and there is but one or two men in the place, who have not pledged themselves in some way or other not to drink spirits." Pendleton Messenger, 10 Dec.1841, notice for meeting of Pickens Dist. Temp. Society meeting, 12 o'clock, Christmas Day, at Bachelor's Retreat, to form a society at that place. Chairman Joseph Grisham, Committee: Rev. J. L. Kennedy, Rev. Allen Fuller, Col. M. M. Norton, and John Adair Esq. South Carolina Temperance Advocate, 13 Jan. 1842, report from Pickens Dist. Temperance Society. Met at Bachelor's Retreat, Christmas day at noon, Chairman Capt. Leonard Towers, speakers Rev. J. L. Kennedy, A. Fuller, and J. Grisham. Formed a Total Abstinance Society with 15-20 people. Elected President John Verner Esq. (Rev. soldier and magistrate), V. P. Rev. James Holland, Sec'y L. P. Verner. Revs. T. B. Maulden and J. Grisham preached at Bachelor's Retreat on Sunday, informed congregation of formation of new Temp. Soc, about 25 joined. South Carolina Temperance Advocate, 17 Feb. 1842, ltr. from A. F. [Allen Fuller] Salubrity SC. Pledge recently adopted by Bachelor's Retreat Temperance Society: "We, whose names are underwritten, being fully convinced of the great evils resulting from the use of intoxicating liquors, either as a common beverage, or as an expression of friendship, and _having determined_ that we will not use them ourselves, or furnish them for the use of others, except as a necessary medicine, and that we will use every justifiable means to discountenance the manufacture, sale, and use of such liqours, so associate ourselves together as a Temperance Society, for the purpose of making known this determination, and therefore exerting all the influence we possess, and strengthening the hands of others who are engaged in promoting the cause of Temperance." South Carolina Temperance Advocate, 21 April 1842 [from the Pendleton Messenger], temperance meeting at Pickens C. H., 21 March 1842. President Rev. J. L. Kennedy; prayer by Rev. James Holland; address by Gen. Whitner. P. S. Vandiver Esq. called to give speech, "excused himself, as he said he could not, in consequence of being much engaged in the business of the court, make his ideas 'hang together' on the subject." "The invitation then being general and pressing, Joseph Powell, Esq. arose, and congratulated himself on not having become a sacrifice to intemperance, as he had been a vendor of the poisonous stuff, and in a very animated manner continued his remarks for a short time in favour of the reformation which is going on, though not himself a member of a Temperance Society." Speeches by Rev. A. Fuller and former distiller Rev. James Holland. M. M. Norton offered resolutions to be more responsive to Executive Committee in terms of more frequent meetings, reporting to the state society, and establishing auxilliary societies. Met agian Tuesday, prayer by Kennedy, remarks by Gen. Whitner "mostly in answer to an objection which is by some made to the withholding of license by the Commissioners of Roads, showing in the most satisfactory manner that the granting of license was most injurious in every point of view." Remarks by Maj. Creswell, "expressed his intention of becoming a member of the Society, and of devoting a portion of his time, talents and purse, to the promotion of this good cause." Remarks by Rev. Joseph Grisham "mostly in answer to the charge against the Society, that there is 'something behind the curtain,' some desire to take from the people that Liberty which they have so long enjoyed." Committee of five appointed to meet at Ebenezer Campground to form auxilliary: Rev. Joseph Grisham, Rev. W. G. Mullinix, Rev. T. B. Mauldin, Maj. J. H. Creswell, and Rev. Jas. Holland. Twenty-seven more names added during court week. Pendleton Messenger, 6 May 1842, formation of Pendleton Total Abstinence Society with 31 signatures "among which were those of several ladies." Meeting at Methodist church, 3 May. Chairman Thomas M. Sloan, prayer by Rev. A. W. Ross. Pledge: "We the undersigned so hereby pledge ourselves not to use as a beverage, Wine, Spiritous of Malt Liquors, that we will not offer them to others, and will exert our influence to prevent the use of them." "Gentlemen" chosen as officers: Pres. Mr. Thomas M. Sloan, VP Mr. J. W. Warley, Sec'y Mr. G. T. Anderson. Executive committee appointed by president: Col. D. S. Taylor, Dr. Wm. L. Jenkins, Rev. A. W. Ross, Messrs. A. Fuller, C. P. Dupre, George Boggs, J. A. Shanklin, Wm. Paterson, J. B. Sitton, Elam Sharpe Jr. Others named: J. Hastie, E. B. Benson. South Carolina Temperance Advocate, 23 June 1842, letter from A. Fuller, Pickensville. Meeting 4 June 1842 at Pickensville, chairman James Henderson Esq., prayer by Rev. Mr. Arnold, addresses by Rev. J. L. Kennedy and A. Fuller. Pledge for Total Abstinance from all intoxicating liquors read "and signatures solicited; upon which Rev. T. S. Daniels arose and expressed his determination to attach his name to the pledge, and, in a very appropriate manner, gave his reasons for doing so." A new society was organized of 50 members--34 males and 16 females--"the greater part of the signatures to the Pledge had been obtained previous to the meeting by the active exertions of a few warm friends in that vicinity." Chose officers: Pres. James Henderson Esq., VP Wm. H. Ariail, Sec;y Dr. Robert H. Archer. Rev. T. S. Daniels orator for next mtg. Pendleton Messenger, 24 June 1842, "Proceedings of the Temperance Meeting at Providence Meeting House, Pickens District, S. C." Signed by Chairman T. G. Boggs, Sec'y A. Fuller. Meeting at Providence M. H. near Salubrity, 17 June, to form society at that place. Prayer by Rev. W. G. Mullinix; speakers: Mr. G. W. Boggs, A. Fuller, J. L. Kennedy, W. G. Mullinix, and J. Grisham. "An invitation was then given to any person, who might be opposed to the Temperance cause, to speak in opposition"; no one came forward. Pledge of total abstinence read and approved, 60 signatures including 26 males and 34 females. Committee to draft constitution: A. Fuller, W. Boggs, A. E. McDonnell, and T. G. Boggs. Mr. J. Augustus Shanklin invited to address next meeting on 2nd Saturday in July. Pendleton Messenger, 1 July 1842, letter to the editor from A. F. [Allen Fuller], Salubrity, 18 June 1842. [Long, interesting letter refuting 17 June extract from Southern Review] "I would persuade all who have espoused this cause, as well as all who advocate it in public to avoid mingling it with any other question, moral, political, or religious. It is a cause good enough to stand alone, without uniting it with any other; and all attempts to amalgamate it with party politics, or religious sectarianism, have proved ruinous to its progress. Hence I would urge every temperance man to act in political matters according to the dictates of his own conscience, without concert, and give his vote for that candidate which he believes is best qualified for the office." Denies that Temp. Associations are arrogant or composed of dangerous mobs. Pendleton Messenger, 15 July 1842, ltr. from A. Fuller, Salubrity, 9 July 1842. Organizational meeting of Salubrity Temperance Society of Pickens Dist. SC held 9 July, now 67 members. Addresses by Mr. E. M. Keith and Mr. A. E. McDonnell. Elected officers: Pres. Thomas G. Boggs, VP A. E. McDonnell, Sec'y Allen Fuller. Appointed delegates to Greenville convention: A. Fuller, S. J. Chamblin, Aaron Boggs, Jeptha Lay, Wm. Boggs, T. G. Boggs. Question to be discussed at next meeting: "Are Temperance Societies calculated to answer the purpose for which they are intended?" "Those who are opposed to Temperance Societies, who assert they are not calculated to answer the purpose for which they are intended, are respectfully invited to attend that meeting, and show that their views are correct." South Carolina Temperance Advocate, 21 July 1842, ltr. from A. Fuller, Salubrity, 9 July 1842. Meeting of Salubrity Temperance Society of Pickens Dist. SC held 9 July, now 67 members. Addresses by Mr. E. M. Keith and Mr. A. E. McDonnell. Elected officers: Pres. Thomas G. Boggs, VP A. E. McDonnell, Sec'y Allen Fuller. Appointed delegates to Greenville convention: A. Fuller, S. J. Chamblin, Aaron Boggs, Jeptha Lay, Wm. Boggs, T. G. Boggs. Temperance Convention Delegates Source: The Permanent Temperance Documents Published By The State Temperance Soc.,Vol. I p. 406 Delegates to the State Temperance Convention held at Greenville on August 8, 1842Pickens District Delegates Rev. J. L. Kennedy, M. M. Norton, John O. Grisham, L. N. Robbins, Rev. W. G. Mullinax, E. E. Alexander, L. Thomas, A. S. Briggs, Samuel Mosely, Silas Kirksey, James W. Harrison, Rev. H. T. Arnold, Geo. Dilworth, Harvey Kenneymore, Richard Burdine, James Robinson, Rev. Allen Fuller, S. J. Chambling, Aaron Boggs, Geo. W. Boggs, Wm. Boggs, and T. G. Boggs. ad for blacksmithing work, A. Fuller. Pendleton Messenger, 24 March 1843, notice, Temperance address by Judge O'Neall, Salubrity Temperance Society, Mt. Zion M. H., 1 April, 12 o'clock. A. Fuller, Sec. South Carolina Temperance Advocate, 13 Apr. 1843, ltr. from Pickens Dist. Temp. Soc., 6 April 1843, Pickens C. H. Met "Tuesday morning of Court" to organize a district society, as recommended by Greenville Convention. Chairman Rev. J. L. Kennedy, Committee to draft constitution: Col. M. M. Norton, Maj. Young Davis, Rev. A. Fuller. Committee to nominate officers: Rev. Jos. Grisham, Rev. A. Fuller, Capt. L. N. Robins, Rev. Jas. Holland, N. Boon Esq., Thos. G. Boggs, Rev. H. T. Arnold, Jno. Verner Esq., Capt. Wm. C. Lee, Maj. Young Davis, A. P. Reeder, Thos. W. Harben Esq., Capt. L. Towers, T. J . Zachary, and Simpson Dickson.Elected officers: Pres. Silas Kirksey Esq., Sec'y Col. Miles M. Norton, VPs: Thos W. Harben Esq. of Bachelor's Retreat, John Adair Esq. of West Union, Maj. Jas. W. Harrison of Pickens CH, Maj. Jos. B. Reid of Pumpkintown, Jas. Robenson Esq. of Mount Carmel, S. J. Chamlin of Salubrity, Wm. Ellis of Wolf Creek, Jas. Henderson Esq. of Pickensville. Executive committee: Silas Kirksey Esq., Col. Miles M. Norton, Col. Joseph Burnett, Wm. D. Steele Esq., and Capt. Lemuel Thomas. Pendleton Messenger, 20 Oct. 1843, report of meeting, Farmer's Society of Pendleton, 2nd Thursday in October. Dinner at Mr. Cherry's long room, "purely agricultural toasts." Rev. A. Fuller: "The agricultural interest; one which is identical in every part of the Union. "Pendleton Messenger, 8 March 1844, candidates for Pickens Dist. Ordinary: John Q. Adams, Allen Fuller [Rev. Wm. McGee elected in Anderson Dist. at previous election]. Pendleton Messenger, 10 July 1845, editorial abstracting local 4th of July celebrations. "The seventieth anniversary of American Independence was not publicly celebrated at this place, but in various parts of the district the citizens of the several neighbourhoods assembled and paid the usual demonstrations of respect to the day." Wolf Creek, Pickens Dist., 1500-2000 people, prayer by Rev. Mr. Dean, D. of I read by William Hunter Esq., oration by Col. J. W. Norris Jr., President Col. John O. Hendrix, VP G. T. Anderson Esq. Sharon Meeting House, 7 mi. west of here, temperance meeting, 3-400 men and women, D. of I. by Capt. Thomas H. Russell, temperance address by Rev. J. L. Kennedy, addresses by Rev. A. Fuller and Rev. W. G. Mullinix. Highland School house, 5 mi. from here, 2-300 people, D. of I. by Capt. Robert A. Steele. Bachelor's Retreat, ca. 1000 people, oration by Col. J. L. Orr. Cheohee celbration by Pickens "mountaineers." Anderson C. H. celebration at a nearby spring [Bensons?] "attended by a large number of Ladies and gentlemen." South Carolina Temperance Advocate, 7 Aug. 1845, "Proceedings of the State Agricultural Society of S. Carolina," held 30 July 1845, Newberry Court House. Among those attending: VP J. B. O'Neall, J. T. Whitfield, J. H. McCann, Allen Fuller, J. Creswell.South Carolina Temperance Advocate, 11 Sep. 1845, letter from Allen Fuller, Sec'y, report of Salubrity Temperance Society meeting, 16 Aug., Sharon Meeting House. Address and resolution by A. Fuller: "Resolved, that the practice of treating at elections is one of the great obstacles to the complete triumph of the Temperance Reformation-one which is not only expensive to the candidates, and degrading to those who are thus controlled, but which has a direct tendency to subvert all the benefits of the elective franchise: we therefore earnestly recommend to every citizen to use his influence to discountenance this pernicious practice, and to regard any attempt to obtain his vote by this means as an insult to the dignity of a freeman. Election of officers: Pres. Rev. Wm. G. Mullinax, VP Thos. H. Russell, Sec'y Allen Fuller. Voted to meet for thanksgiving and prayer on Dec. 25, when a temperance sermon will be preached. Next meeting in Oct. at Sharon meeting House. South Carolina Temperance Advocate, 23 July 1846, letter from A. Fuller, Sec'y, Salubrity SC, 11 July 1846. Report that no delegate will attend Aiken convention, now 169 members, added 20 since last year. Society "rather inactive the past year," well-attended 4th of July celebration on cold-water principles, speakers: Rev. J. L. Kennedy, A. Fuller, William G. Mullinax. "We hope this will be the means of advancing the temperance cause in this vicinity." "There was a Barbecue at Wolf Creek on the 4th, at which the lovers of strong drink assembled in multitudes. The candidates for office were there, and dealt out the liquor in profusion, and profanity, drunkenness and quarrelling were the order of the day. One of its advocates admitted that it was the most disorderly company he had ever seen. Such are the results of the two principles." Pendleton Messenger, 16 Oct. 1846, lengthy report from Salubrity Temperance Society, held at Providence M. H., Pickens Dist., 10 Oct., to consider Aiken Resolutions. Committee: A. Fuller, Thos. Boggs, D. K. Hamilton, F. N. Glenn, and Aaron Boggs. Found recommendation to petition the Legislature to be "directly opposed to the principles avowed at the Convention in Greenville; and the Resolution relating to Candidates who treat, if not inconsistent with those principles, as, at least, of doubtful policy." "We are perfectly willing that the Legislature should authorize the people to decide the question by popular ballot, whether such liquors shall, or shall not be retailed in their several districts"
http://www.universalistchurch.net/boyinthebands/allen-fuller-exhorts/Tuesday, 25 May 2004Filed under: General— Scott Wells @ 11:02 am When I was woking on a master’s program in church history in the early 90s, I planned to write my thesis on Universalism in the old South. Didn’t finish the degree – God stepped in with ministerial plans – but I did find a number of interesting tidbits, including this small exhortation by the Rev. Allen Fuller, who served churches in Rhode Island and North Carolina. .In Trumpet and Universalist Magazine, January 26, 1833, page 2. Scott, was this your work? if so, its all over the web now! The South Carolina Convention of Universalists met at Harmony Meeting House, in Anderson District, on Friday before the first Sunday in August, and continued in session three days. Br. James Mulliken was chosen Moderator, and Br. Allen Fuller, Clerk. Measures were taken to establish immediately a system of circuit preaching throughout the State; and Br. Allen Fuller was appointed an agent to visit different parts of the State, to carry the proposed measures into effect. The thanks of the Convention were presented to Br. Fuller, for the occasional sermon, and he was requested to furnish a copy for the press. LIBERTY CHURCH, FAIRFIELD DISTRICT, S. C., AUG. 3D. 1858He was followed by Br. Fuller, John 6; 68, showing in a clear and concise discourse that Christ alone has the words of eternal life, and if we turn away from Him, where shall we go. Allen Fuller, Ala. After an intermission, the Rev. Allen Fuller preached an able and interesting discourse from 1 John 3: 3. They dont even mention that Rev Clinton Lee Scott was an Universalist minister ! Allen Fuller, 62, farmer property worth $2,000 born: Mass. while Tabitha Summers Worthington Fuller's birth and date dates (and places) are easy to find -- her second husband Allen Fuller isnt --- thus this census tells us he was born about 1798 in Mass -- which is very useful. His death is noted in D. B. Clayton's autobiography, he notes that it wasnt mentioned in the denomination literature. both of the Fullers would be deceased in three years. more to come, lots more! Concord Universalist Church, or as it was known, "The First Universalist Church of Bourbon County," was organized originally some forty years ago. The church building was begun in 1845, and completed and dedicated May 30 1847. The original members were Jesse Kennedy, Polly Kennedy, V. G. Wheat, W. A. Bacon, William L. Bacon, E. M. Kennedy, William Shaw and John Brown. The church prospered until the commencement of the war, when it was almost wholly broken up. About the year 1867, the building was sold under a degree of the court, bringing about $1,200. The purchaser designed turning it into a store or blacksmith's-shop, but it was burned shortly after its sale. It was situated about three miles from Paris, near C. M. Clay's, and was a frame building of substantial construction. in the southeast - from Virginia to Mississippi . Louisiana and Texas and those west of the Mississippi River might be considered south (and since D.B. Clayton preached in Texas, it could indeed be the south), but I figure anygoing west of Mississippi is wild west! sr.
Convention . -- Oganized in 1844-- meets on last Friday in August. Rev E. M. Pingree, Lousiville, S. Clerk. N. B. -- We are mainly indebted to Br. E. M. Pingree for the foregoing. A new association was to have been formed in July, but we have recieved no returns, of course. Summary - One convetion, 3 Associations, 13 societies, 3 meeting-houses, and 19 preachers. Fuller is the standing clerk of the State Convention; 4 societies, 8 meeting houses (also listed as 9!) - . Abbeville, Charleston, Fairfield, Lexington, Newberry (2), Anderson, Laurens (2-union) . Portlow's in Abbeville is the new meeting house. in Washington DC, there is a new Universalist society founded last year. Kentucky - 19 preachers, -- anybody want me to list Kentucky? i obviously havent had time to read and post - because Im too busy buying! a list of suggested topics for the YPCU for the 1913-14 year. do i have a monkey on my back, or what? ?